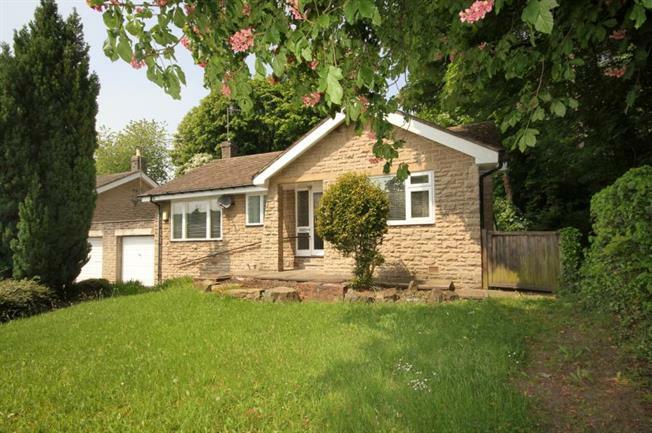 2 Bedroom Bungalow For Sale in Sheffield for Guide Price £240,000. Situated on the desirable Graham Road in the heart of Ranmoor is this two double bedroom detached bungalow offering the buyer huge potential and must be viewed. The house requires a scheme of updating and refurbishment and some building work but will appeal to builders and property professionals. The bungalow sits in an elevated position and has the benefit of gas fired central heating, majority double glazing, garage & driveway and easily maintainable rear garden. After modernisation the house will appeal to those parties downsizing or those wanting to live in this highly sought after location. Location - The property is located in Ranmoor, a most sought-after suburb of Sheffield. Situated only a short drive to the majestic Peak District National Park and Sheffield's city centre, yet within a short walk to Fulwood Village, with a host of local amenities and regular bus services. Locally there are parks, cafes, independent shops, deli's, community centres, Doctors surgery and schools. Ground Floor - Entrance hallway, dual aspect and good sized lounge (20x14'1), fitted breakfast kitchen with beech effect finished units and stainless steel cooking appliance, double bedroom one, rear facing double bedroom two and bathroom/W.C. Outside - To the front of the property is a lawned and hedged garden, a side driveway provides off road parking leading to the semi detached single garage having up and over door, power and lighting, as well as housing the gas heating boiler. To the rear of the property is a flagged area with steps rising to a lawned garden area. Note - Please see the legal pack for building information and tenure information. Guides are provided as an indication of each seller's minimum expectation. They are not necessarily figures which a property will sell for and may change at any time prior to the auction. Each property will be offered subject to a Reserve (a figure below which the Auctioneer cannot sell the property during the auction) which we expect will be set within the Guide Range or no more than 10% above a single figure Guide.